Enhance your bed's cosy factor with poly cotton cased duvet and pillow sets. We offer wide range 13.5 tog poly cotton cased Duvet and pillow sets to give a proper support and warmth during your sleep. After a hectic schedule, our luxurious 100% polyester hollow fibre filled duvet and pillow sets will welcome you on bed and furnish you soothing sleep that you have always craved for. 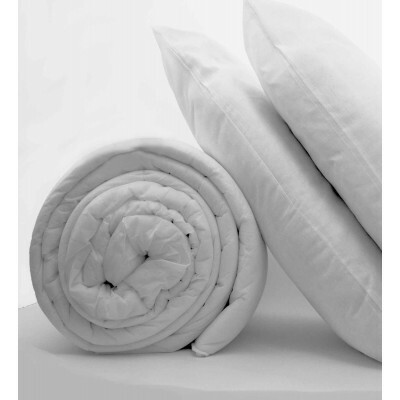 Tog 13.5 duvet and pillow sets are ideal for autumn and winter seasons. Grab our quality duvet and pillow sets at very nominal prices. Our 13.5 tog duvet and pillow sets are available in single, double, king and superking sizes.